I hate to be that guy, but I see two typos. Yeah, thanks! I kinda threw it up real quick without proofreading very carefully cuz today is stressful for Obvious Reasons. :’) I’ll fix it in a bit. 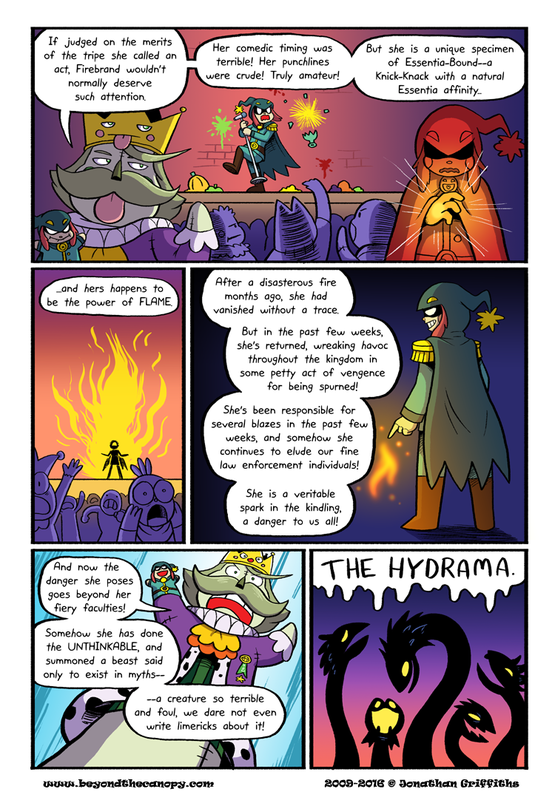 Hydramas is a brilliant name and worth the lengthy set-up! There once was a creature called the hydrama. It caused all it met much trauma. Until it was finally slain by a llama.